Dr Shark is a game in which your mission is to recreate mini-puzzles by finding the right pieces by blind tactile recognition (shape + texture) in a bag. 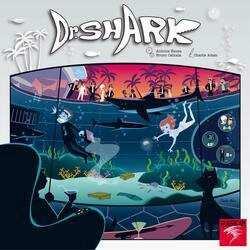 To be the secret agent who made up the biggest case against Dr. Shark. Each time you dive into the pool for an apnea (30s hourglass), to find clues (puzzle pieces) to gather evidence (mini-puzzles) against the infamous Dr. Shark. The excavation is carried out blindly, by tactile recognition of shapes and textures. Beware of the pressure of time... and sharks!